Olive Adelaide Swanzy, (1881-1974), was the daughter of the Reverend Thomas Biddall Swanzy, (Church of Ireland), of Newry, Northern Ireland. The Swanzy family, originally from Lancashire, had been in Ireland since the 1600s. Her three brothers all became priests. The 1911 census shows Olive as living with her mother, Elizabeth, and a cousin, in Newry. Her father had died when she was an infant. Olive was born in Cannes, France. 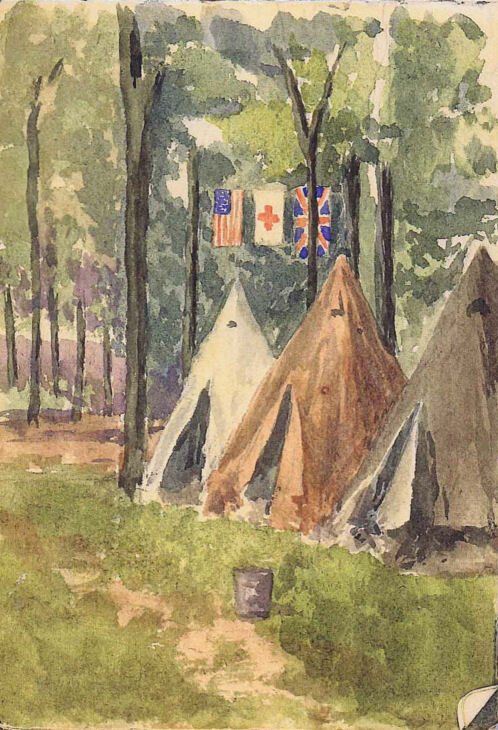 She never married and continued nursing when she returned from the Western Front. 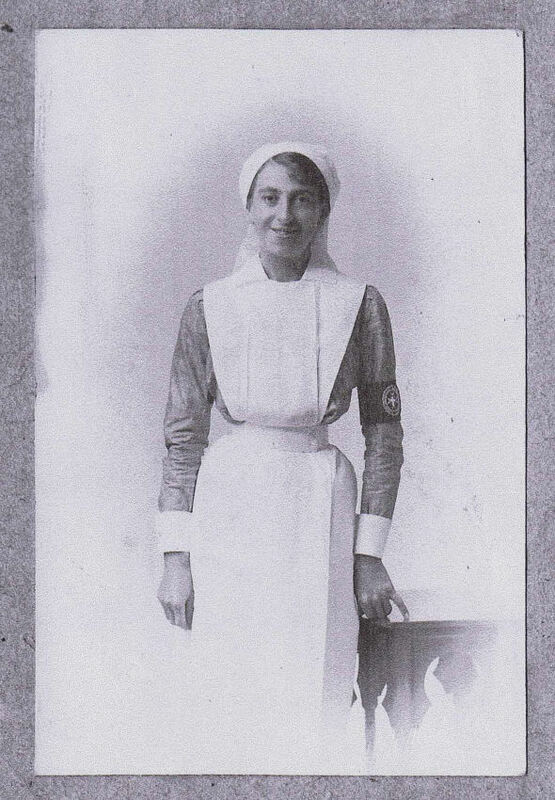 She became the Matron of Newry Hospital, where she served throughout WWII. 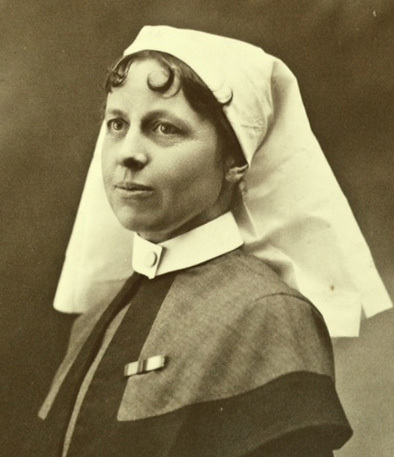 She was prominent in the local St John’s Ambulance Brigade and taught at Sunday School. 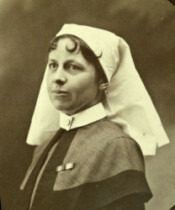 Here she is wearing the uniform of a St. John VAD. The above information was kindly provided by television producer, David Boardman. If anyone else has information we can add to this page, particularly if you are a relative of Olive’s, please get in touch by email at ediesdiaries@gmail.com or by leaving a message in Edie’s Visitors Book. The London Gazette of 14 January 1964 lists Olive Swanzy amongst those awarded The Most Venerable Order of the Hospital of St. John of Jerusalem. Information about the Order is available here and here. Click here for a compilation of all Edie’s references in her diaries to VADs.